A Paws-perous goodie for the Chinese New Year! 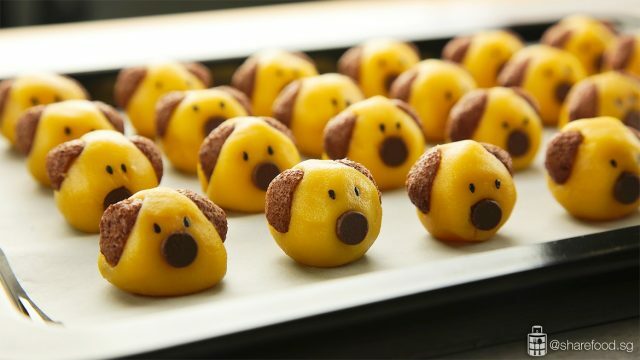 The Fortune Dog Pineapple Tart melts in your mouth and is fuss-free to make. In this recipe, no chilling of the dough is required hence no time wasted! The dough doesn't stick to your hands even without chilling. 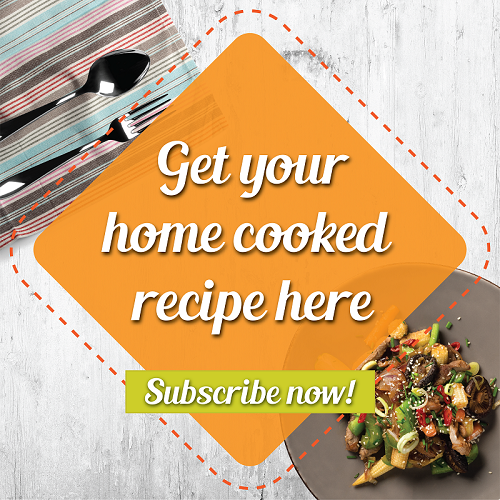 It's our first time preparing the bake with Kenwood food processor! The food processor works fantastically! It's our first time preparing the bake with a food processor, and to our surprise, it works fantastically! It grates the pineapple in a jiffy and the mixes the dough finely as well. Perks are less cleaning and less space required for the preparation. 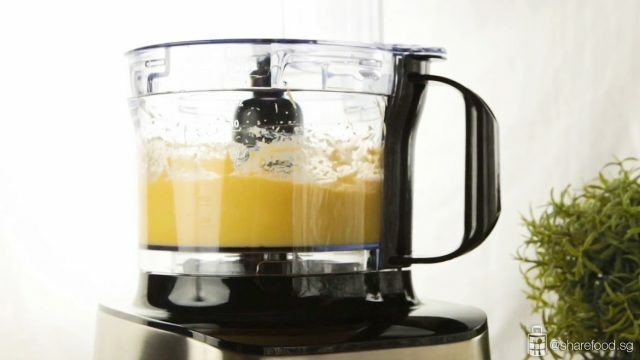 This food processor can easily make 120 pineapple tarts - a good enough quantity for a family of 5 and to entertain guests as well. Let the pineapple be the star and add cinnamon to enhance the fragrance as well as the depth to the flavour. Only cinnamon and sugar is required. Let the pineapple be the star and add cinnamon to enhance the fragrance as well as the depth to the flavour. 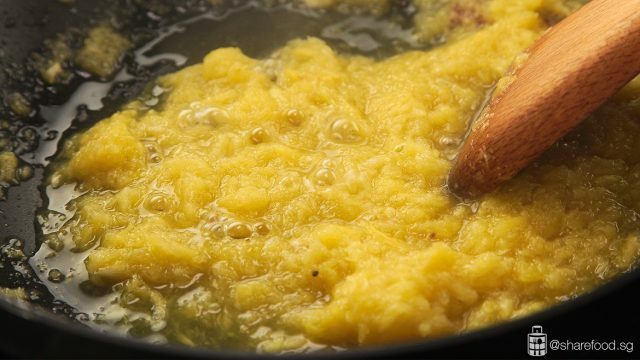 Skip the pre-made paste, this is so easy to make, and we are sure that you will receive loads of praise for this recipe. 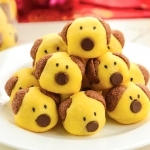 Can you see how many fortune dog pineapple tarts are there? Tip: Stick the chocolate chip (nose) into the dough as deep as possible to prevent it from sticking on the wall of the container when packed. 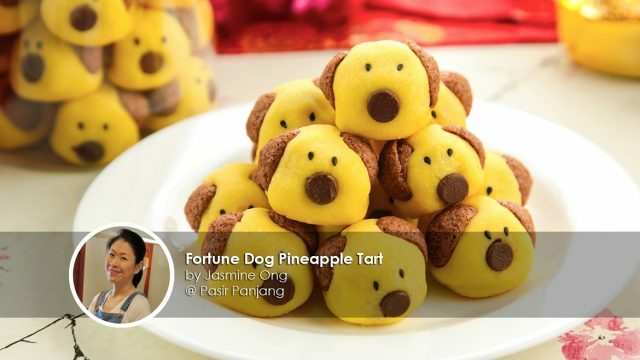 It's still not too late to bake these Fortune Dog Pineapple Tart for Chinese New Year. Have fun baking! sugar to taste, depending on the sweetness of the pineapple. 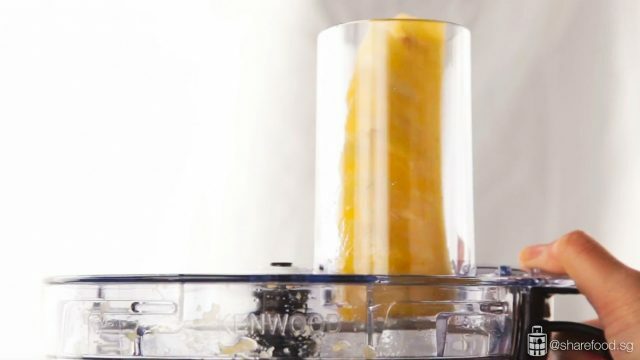 Use the food processor to grate the pineapple. Pour the grated pineapple into a frying pan, add in cinnamon and sugar to taste. Stir continuously till dry, thick and golden. Remove cinnamon, set aside and cool completely. Using the food processor, attach plastic blade. Add in cold butter and condense milk. Cream till light and creamy. Add in egg yolk. Cream till well mixed. Remove the blade, fold in flour using a spatula till it forms a pliable dough. Roll the dough into 10g and pineapple paste into 8g. Make a thumb-press into the centre of the dough. Place the pineapple paste onto the dough and wrap it neatly. 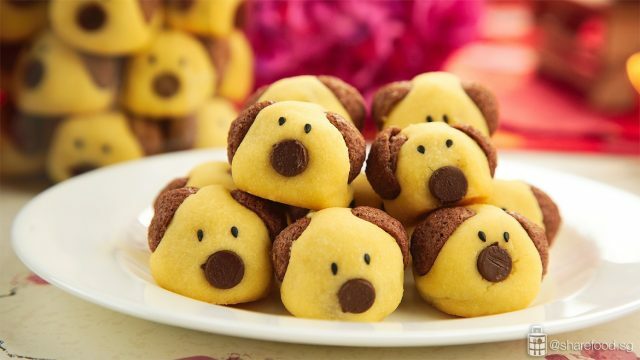 Stick the nose, sesame seed and coco-crunch onto the dough to form the dog’s face. Press inwards to prevent the ingredients from falling off the dough while baking. Place it on a baking sheet lined with baking paper. Preheat the oven to 165 degrees for 20 mins. Transfer the baking tray into the oven and bake for 20 mins until light golden brown. Once it is baked, remove from oven. Allow it to cool completely before packing into the container.